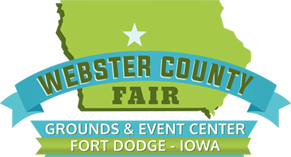 The Webster County Agricultural Association, which maintains your Webster County Fairgrounds, is seeking your support for the 2019 Webster County Fair. The Ag Association is a non-profit company made up from an elected volunteer Board . Our mission is to provide a great agricultural learning location for our local 4H, FFA youth programs, and the community. 100% of every dollar received from event packages and sponsorships goes back in to bringing events to the Fair and keeping the building and grounds safe for everyone to enjoy. 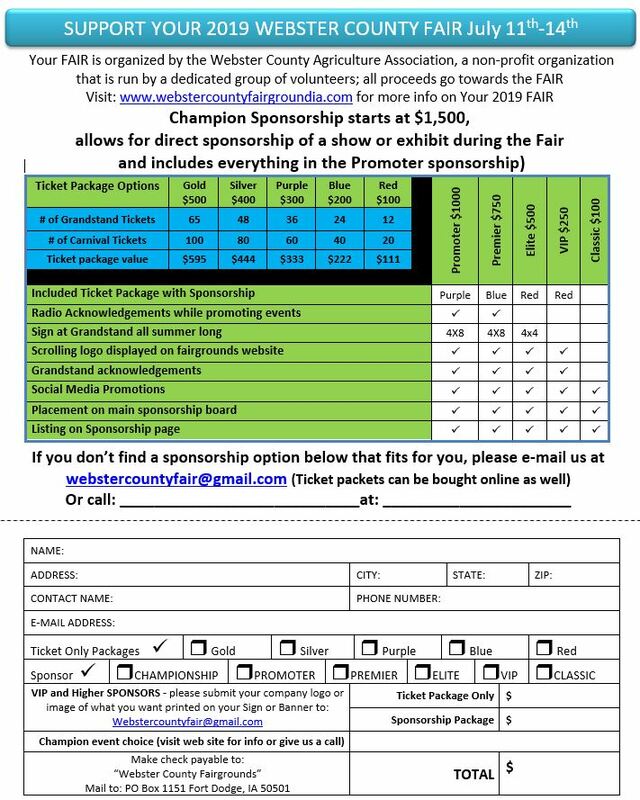 Promote your business or organization by becoming a sponsor at the Fairgrounds. Several thousand people visit the Fairgrounds each year. Our event packages are a great way to show your support for our community and get first access to the exciting entertainment at the fairgrounds. Most packages will provide you with enough extra tickets to share with employees, family, or friends.